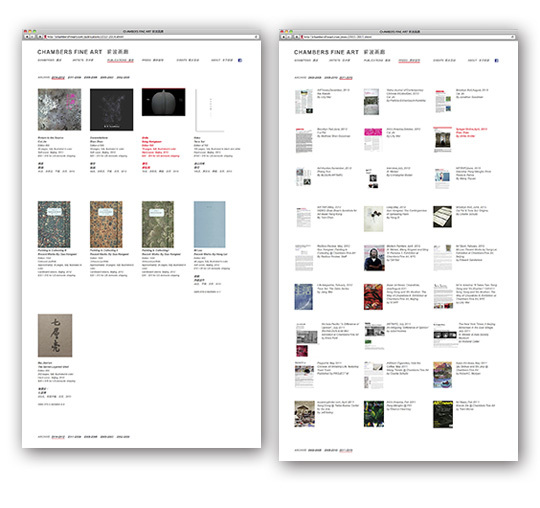 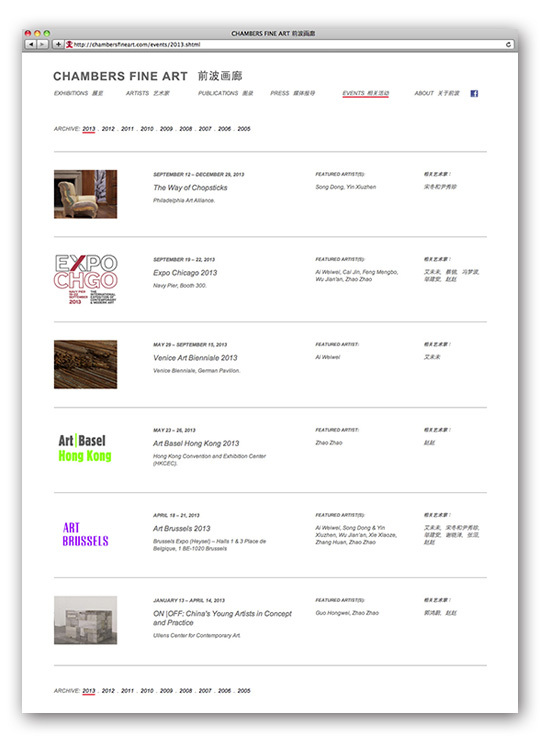 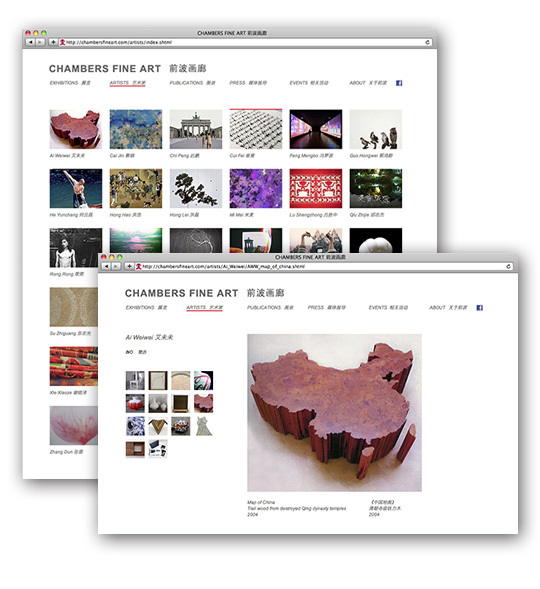 Chambers Fine Art is the pioneer Chinese contemporary art gallery. 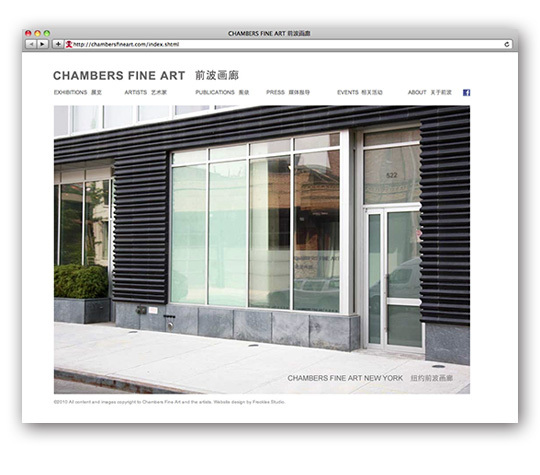 Established in New York in 2000, Chambers Fine Art now has three locations in both New York and Beijing. 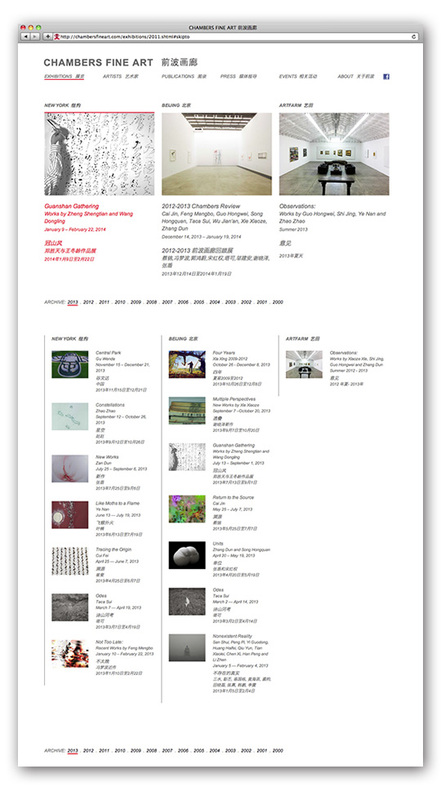 The website displays both English and Chinese languages side by side for easy references, and showcase exhibitions of all locations in a clear and elegant manner.